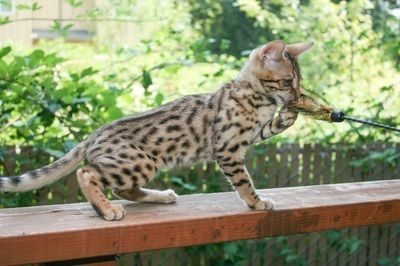 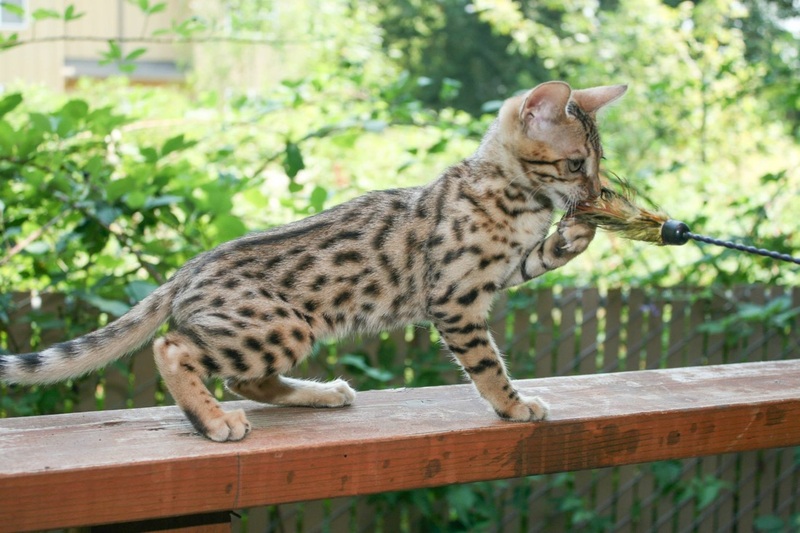 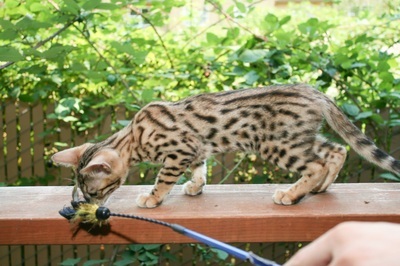 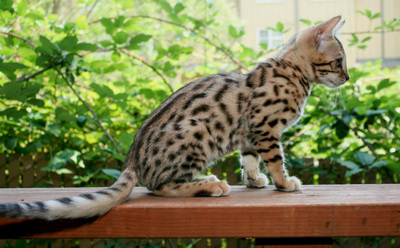 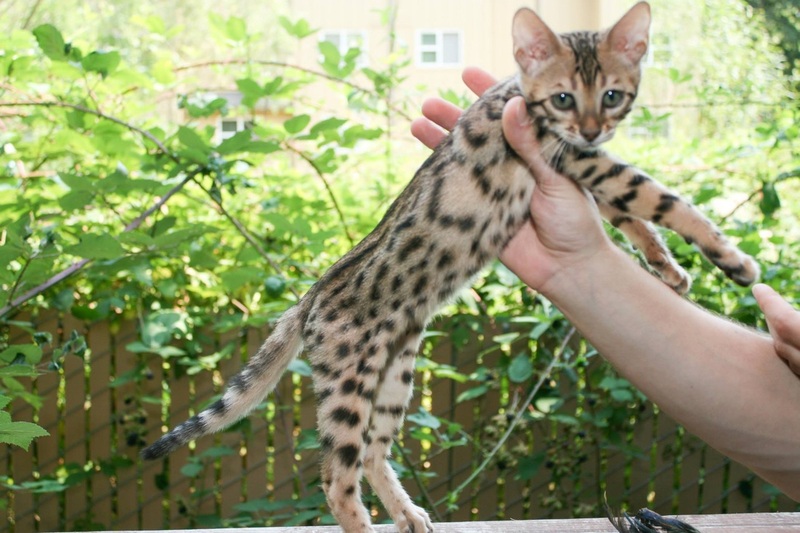 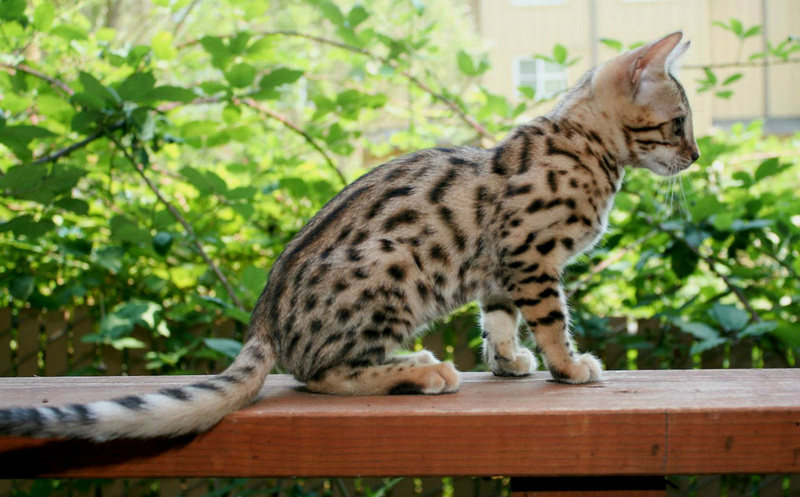 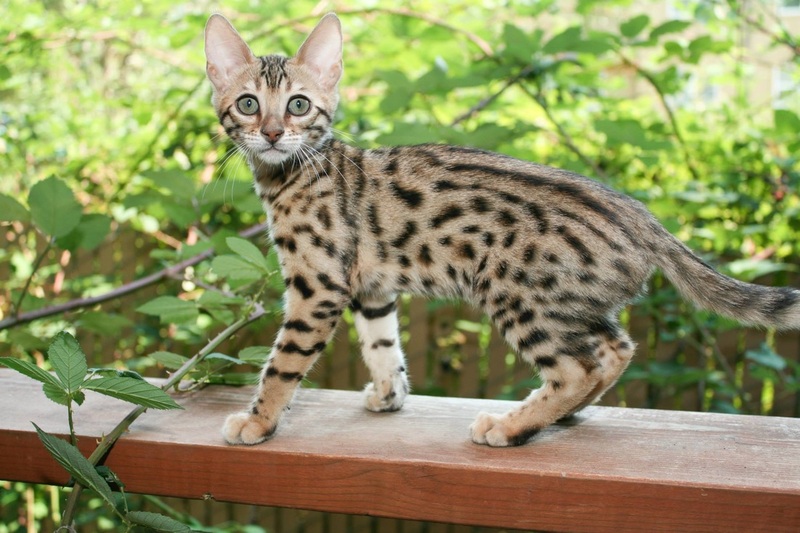 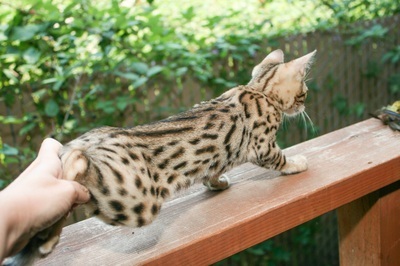 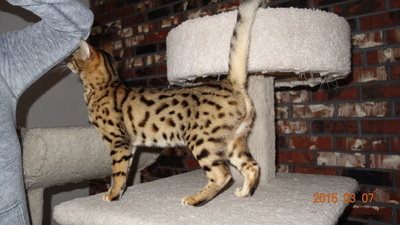 Katzpaw Aayla - Northwest Bengal Cats Beautiful, friendly Bengal Cats and kittens for sale in the Pacific Northwest of Oregon. 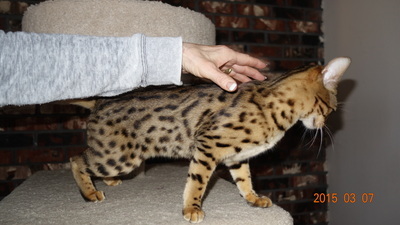 Aayla has a sleek golden coat, her wonderful dark espresso color markings are a beautiful and unusual mix of dots and dashes. 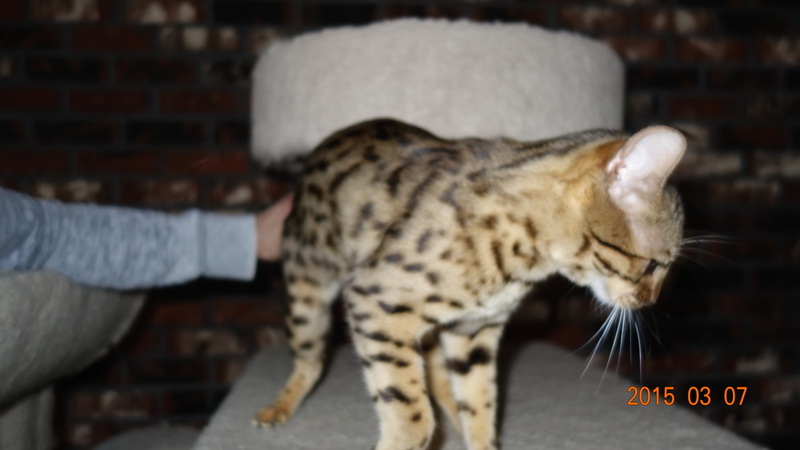 Aayla has been spayed, is up to date on all her shots and ready for a family of her very own!